Do you need a new roof installed or roof repair? 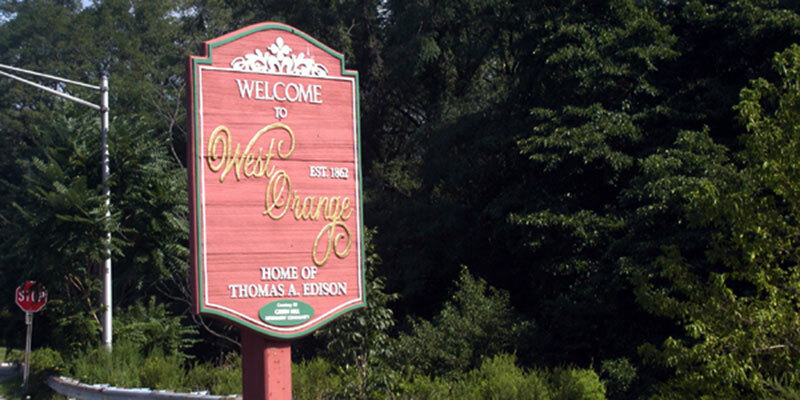 In search of a highly regarded, respected West Orange roofing contractor to handle the job? Call Hart & Sons at (973) 761-7676! Our professional roofers have years of experience and can get your roof fixed up fast! Whether you need a metal or flat roof installed or perhaps some tile shingles replaced, we’re the team for the job. Hart & Sons provides complete roofing services, as well as full remodeling capabilities. If you need assistance with your insurance claim, we’ve got your back. The last thing you want after a storm has compromised your home is to have to argue with insurance companies. Most houses in the area use traditional asphalt shingles or tile. Both are excellent roofing materials, each with their own advantages. There is a reason that asphalt shingles remain the #1 roofing material in the U.S. Their versatility and designs possibilities are really hard to match. On the other hand, tile is known for it’s durability and beauty. Two of the reasons it has been used for centuries. You may not realize this, but metal roofing has been shown to be rapidly increasing in popularity for its use on homes. If you’re in the market for a new roof and don’t know which to go with, give us a call. Our roofing specialists would be happy to help you find the perfect roof for your needs and budget. Does your roof have chipped or missing shingles? Maybe a storm did some significant damage to a portion of it. If you’re not sure whether you need roof repair or a whole new roof, here are some questions to ask yourself. What is the roof made of, and more importantly how old is it? If you have an asphalt shingle roof that’s 20 years old or older, it may be approaching the end of its life. Examine the shingles for bald, shiny, or worn spots. If you need significant repairs, you might consider re-roofing your home instead. However, if you have a tile roof and only sustained minor damage, repair would be more cost effective. Tiles are easy to replace since they are installed individually. There are also flat roofs, usually covered in a rubber, PVC, or other synthetic material. The durability of a flat roof can vary quite a bit. The quality of the material and the roofing crew that installed it can have a huge impact. Unfortunately water leakage can be a real issue with flat roofs. And we all know that can lead to water damage, which is an expensive problem. Flat roofing requires great skill and correct installation techniques; an inexperienced roofer can easily screw up the job. A flat roof can last as little as 10 years, or more than 50 years depending on the material that is used. Unlike other roofing materials, all metals roofs are made from recycled material. Another advantage of metal roofs is that they tend to last for a very long time. Which means there is much less likelihood you will need to repair it or replace it in the foreseeable future. When deciding on a roofing contractor, you want someone who is fully licensed, bonded, and insured. Hart & Sons should be your only choice. We offer affordable pricing, and expert workmanship. There are a lot of amateur operations when it comes to roofing. Our years of experience, and happy clients speaks for itself. For the best roofers in West Orange, you should call Hart & Sons today at (973) 761-7676!